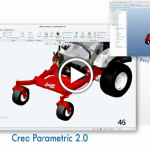 PTC Creo Parametric gives you exactly what you need: the most robust, scalable 3D product design toolset with more power, flexibility and speed to help you accelerate your entire product development process. Where breakthrough products begin Engineering departments face countless challenges as they strive to create breakthrough products. They must manage exacting technical processes, as well as the rapid flow of information across diverse development teams. 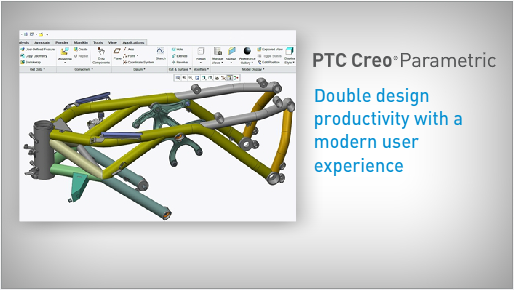 In the past, companies seeking CAD benefits could opt for tools that focused on ease-of-use, yet lacked depth and process breadth. Or, they could choose broader solutions that fell short on usability. With PTC Creo Parametric, companies get both a simple and powerful solution, to create great products without compromise. 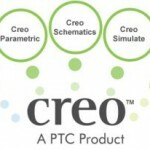 PTC Creo Parametric, helps you quickly deliver the highest quality, most accurate digital models. 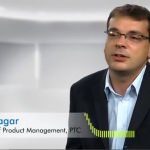 With its seamless Web connectivity, it provides product teams with access to the resources, information and capabilities they need – from conceptual design and analysis to tooling development and machining. In addition, high-fidelity digital models have full associativity, so that product changes made anywhere can update deliverables everywhere. That’s what it takes to achieve the digital product confidence needed before investing significant capital in sourcing, manufacturing capacity and volume production.